Basically, what I’ve learned from extensive research of inflammation, how it damages the body, and how to get rid of it is this: Inflammation is the root of almost all evil in the body. A little inflammation is a good thing because it’s helpful in fighting off sickness that doesn’t belong, but for most of us, we are overloaded with inflammation because of diet issues, stress, and environmental hazards. This overload of inflammation does the exact opposite of what inflammation was created to do. The good news? There’s all kinds of things YOU can do to work with the amazing disease fighting system you were given, rather than work against it. Figuring out your food sensitivities and allergies, eating whole organic foods, reducing chemicals in your daily products, drinking filtered water (half of your body weight in ounces every day), and adding fermented foods as well as anti inflammatory spices and herbs to your diet will go a long way to helping you fight the overload of inflammation and the ugly side effects it brings along with it. 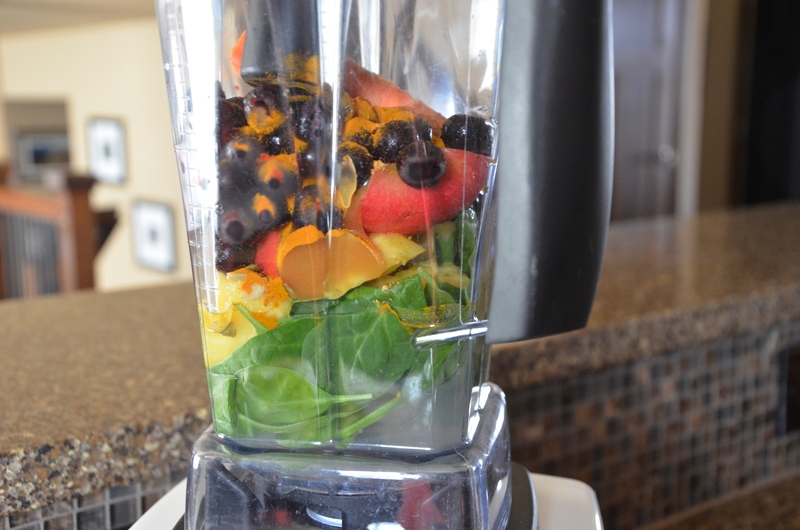 A morning smoothie is an excellent way for you to start off on the right foot. But if you can’t fit a smoothie into your morning routine, you can have it for any meal or snack. I aim for 5 days a week. Sometimes more, sometimes less. But I definitely notice the difference in how I feel if I slack off for several days. If you’re not used to buying organic ingredients there may be a little sticker shock involved. The way I look at it; I would rather spend more on whole, organic, items that are excellent for my health and then tighten the budget elsewhere to compensate. 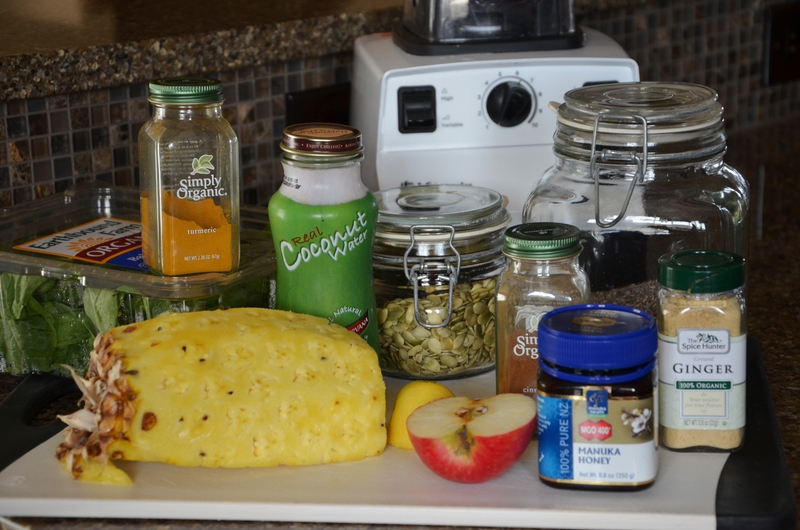 This smoothie is packed with nutrients and anti inflammatory benefits. It’s a cinch to whip up. 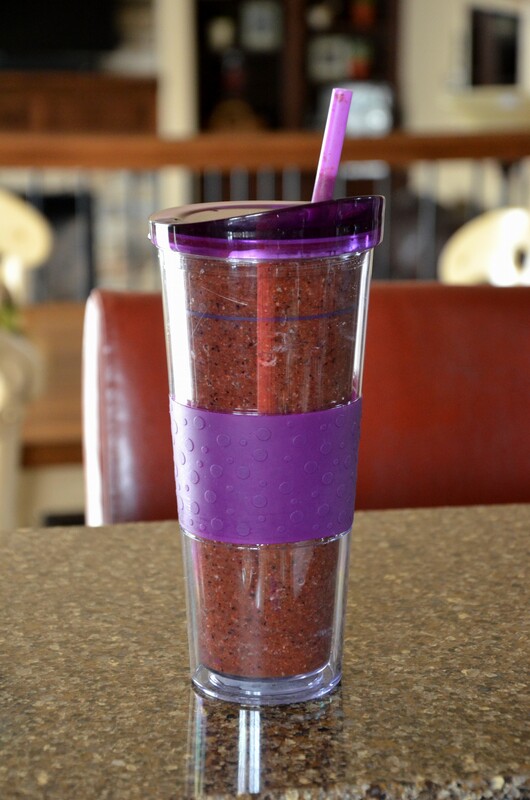 Pour it in a BPA free cup (mine is 24 ounces) and it will go anywhere with you. 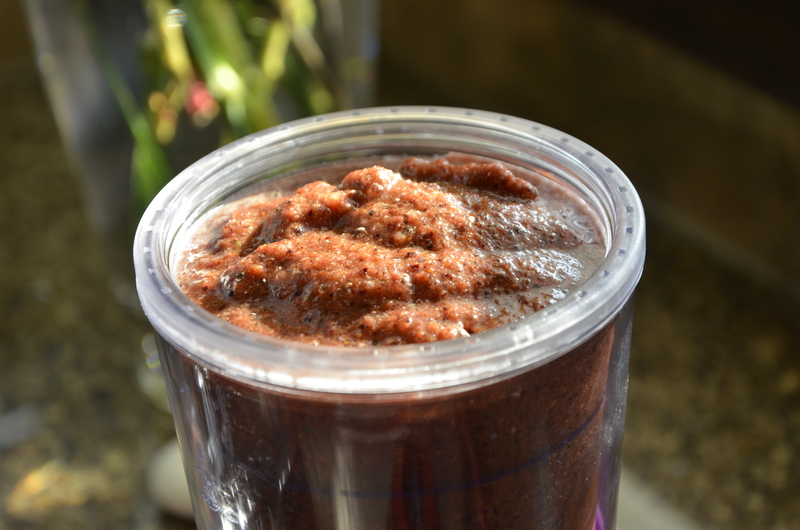 Place all ingredients (except the ice) in a heavy-duty blender until smooth. Add the ice, blend until smooth. *I switch it up and add other items occasionally: 1/2 Organic Avocado, Banana (not too often! ), Beet Greens, Chard, Fresh Beets, Mango, Non-Dairy Protein Powder, Unsweetened Shredded Coconut, Almonds, Walnuts, Ground Flax. You can also do all vegetables and no fruit. Be mindful of too much fruit and not enough protein and healthy fats. Hi Charlie, in the US they call that a CSA (Community Supported Agriculture). I haven’t tried it yet as I’ve heard here you get what they have and choose to give you, so sometimes you may end up with an abundance of something you don’t care for. How nice it would be though to have it delivered instead of having to go to three organic grocers all over town to get what I need every week! You’ll have to let us all know how you like it. i will have to try this soon! thank for sharing. i miss doing smoothies in the morning, as i have been traveling, and look forward to making those each morning. what is manuka honey though? is it any ‘better’ than ‘regular’ honey? thank you for sharing the links – i had never heard of honey/apple cider vinegar for migraines as well, I will have to try that out.